After almost 50 years of being neglected, it appears the moon is once again a hot destination. 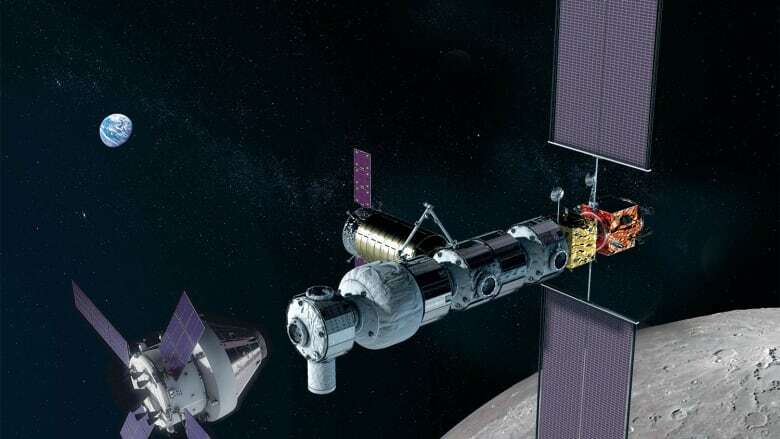 on Thursday, Canada announced that it will join the NASA-backed Lunar Gateway project, but what exactly is it? After almost 50 years of being neglected, it appears the moon is once again a hot destination. On Thursday morning, alongside both former and current astronauts — as well as David Saint-Jacques via satellite from the International Space Station — Prime Minister Justin Trudeau announced that Canada has committed to participate in the Lunar Gateway, a NASA-backed orbiting space platform. Construction is scheduled to begin in 2022. 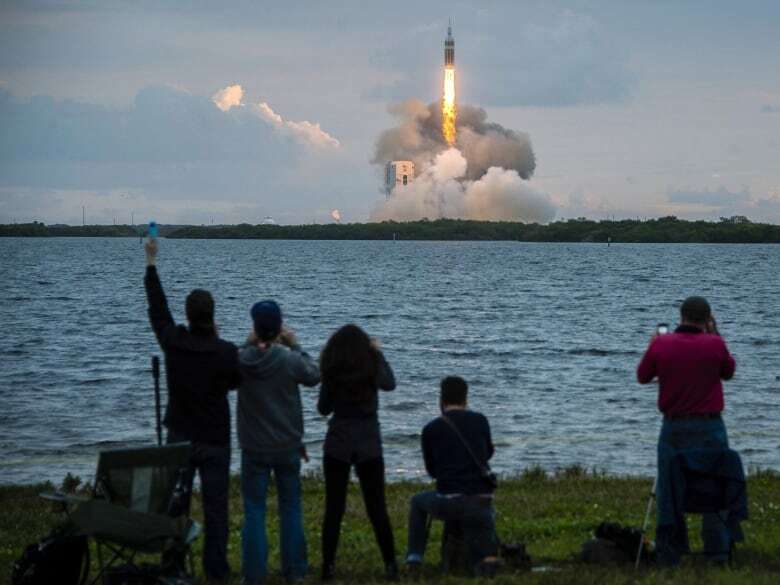 Included in the commitment is $2.05 billion over 24 years for the country's space program, something that the government says will contribute $100 million annually to Canada's gross domestic product. On Feb. 21, a SpaceX rocket with an Israeli lunar lander blasted off, and on Jan. 2, China's Chang'e 4 successfully landed on the far side of the moon, humankind's first. Other countries are also looking to make the leap. 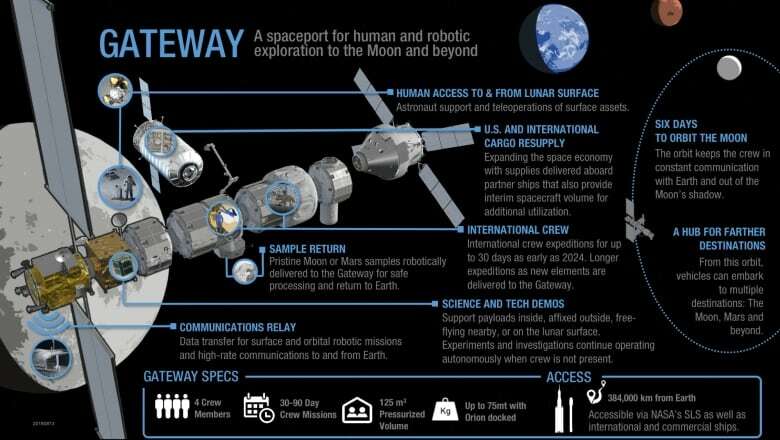 The Lunar Gateway will be a platform from which humans can go to and from the moon, an asteroid or even Mars. And, like the International Space Station (ISS), it will also be a laboratory for scientific experiments. The Gateway will be much smaller than the ISS, which is about 109 metres in length (slightly larger than a football field). However, unlike the ISS, the Gateway will orbit the moon from pole to pole. This will allow it to keep in constant communication with Earth. 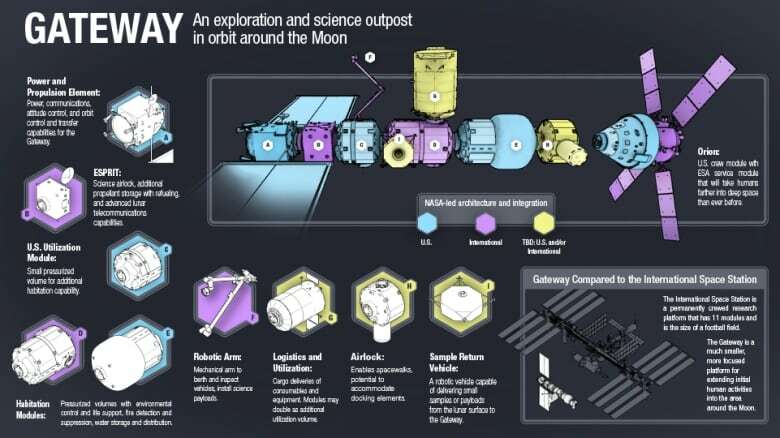 There will be several components to the Gateway: habitation modules, that will hold up to four astronauts anywhere from 30 to 90 days; a science module, a sample return vehicle and, of course the robotic arm, which will be Canadian-built and called Canadarm 3. The original Canadarm was built for the space shuttle missions and then redesigned to handle ten times more weight in order to be able to build the ISS. It's likely the new Canadarm 3 will be used in the construction of the Lunar Gateway. While MDA — the maker of the Canadarm — was awarded a $1.7 million contract in 2018, this is seen as a much larger investment that will benefit both large and smaller companies, which some hope will boost our economy. "The investment that has been announced today includes funding for small and medium enterprises, which is not necessarily what we expected to happen," said Kate Howells, the global community outreach consultant for the Planetary Society. 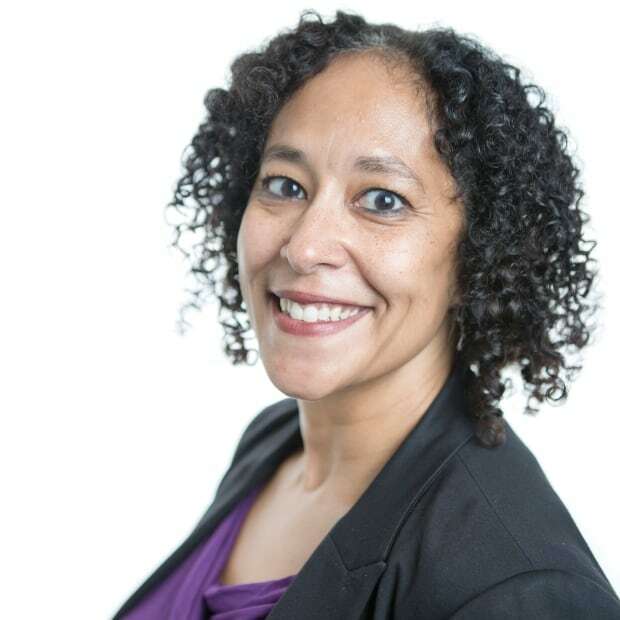 She is also a member of Canada's Space Advisory Board that was formed by the government in an effort to develop a new space strategy. Thursday's announcement focuses once again on Canada's talent for robotics (as well as the development of artificial intelligence to be used on the Gateway). Minister of Innovation, Science and Economic Development Navdeep Bains said there will be more announcements to come as part of a "continuation of our commitment to space." That's welcome news for Howells. "We don't want to just be the robotics and remote-sensing people forever. There are a lot of other territories to expand into," she said. "We were really at a point where the future of the space program was in question and the future of the whole space industry was very much in question. This really is a huge, huge indication that we are going to have a strong space program moving forward." Creating a role for Canada in space has multiple benefits, Howells said. It means jobs for Canadians as well technological innovation that can be applied elsewhere, just as the Canadarm helped inspire a robotic digital microscope used in neurosurgeries. "I think the important thing to remember is that the money is being spent here on Earth," Howells said. "We're not putting wads of hundreds in a space capsule and launching it into space. This money that the government is investing is going to go towards paying the wages of highly skilled people here in Canada." The moon may be the next destination, but the goal is much farther away. "NASA is going to wind up back at the moon and on to Mars," Howells said. "I'm glad to see that this is a step towards Canada being involved in that whole trajectory."